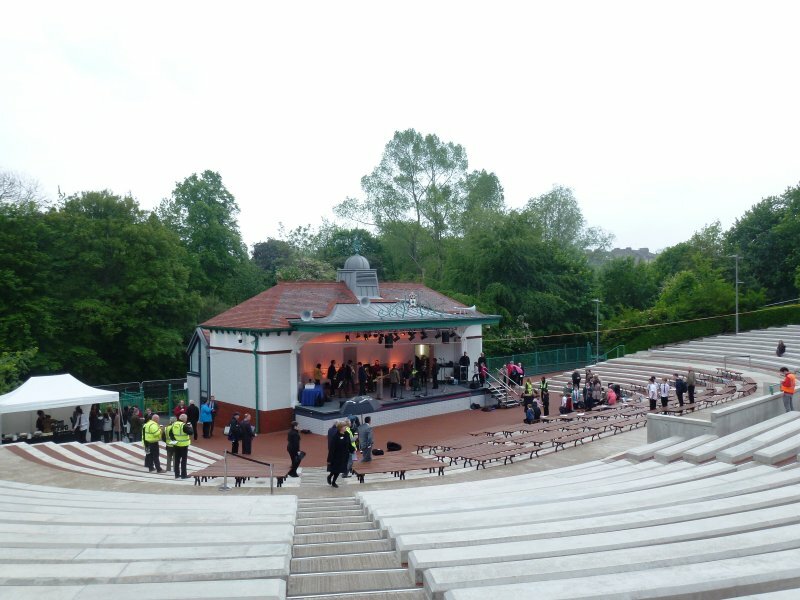 Designed as a single storey bandstand centred within an oval-shaped amphitheatre (taking advantage of the natural slope of the site towards the River Kelvin) Kelvingrove Bandstand opened to the public in 1924. 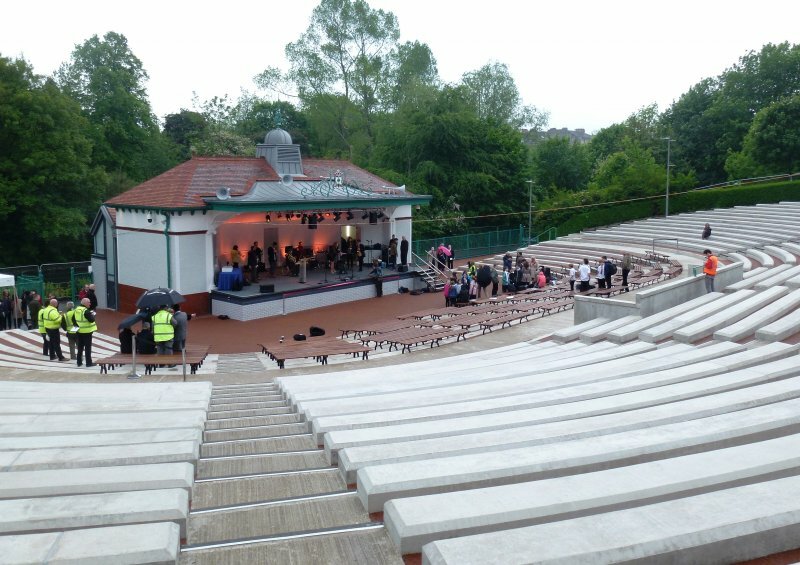 Set within much- loved Kelvingrove Park, a designed landscape of national importance in its own right laid out along the River Kelvin from 1852, the venue was enjoyed by generations of Glasgwegians. By 1999 however the bandstand had closed to use with essential repairs estimated at £100,000 and full restoration at £400,000. 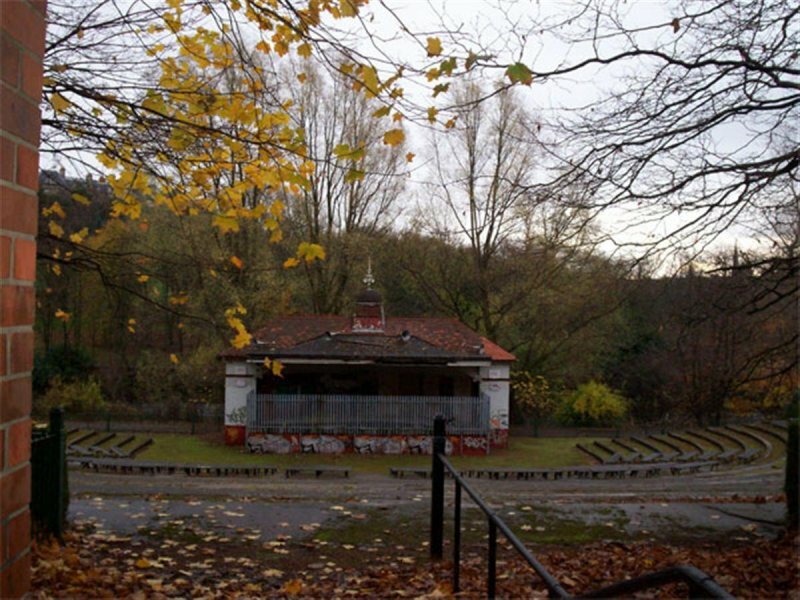 Over the next decade the condition of the bandstand and surrounding amphitheatre deteriorated, accelerated by repeated acts of vandalism. A number of repair proposals were brought forward, with the Friends of Kelvingrove Park lobbying for restoration and fund raising towards this, but it was not until 2012 that a development scheme and restoration funding was secured. 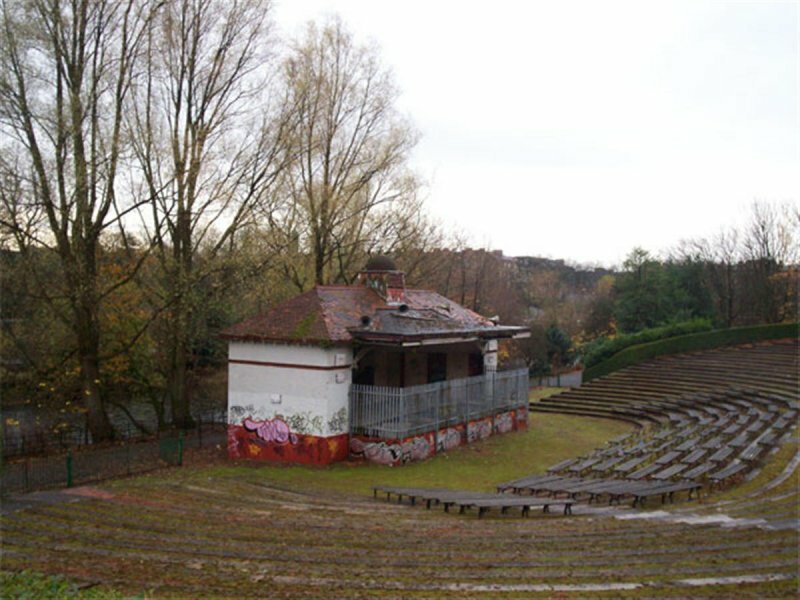 Glasgow Building Preservation Trust took temporary ownership of the site for the duration of works, at conclusion returning ownership to Glasgow City Council for management by Glasgow Life as an open air performance venue. 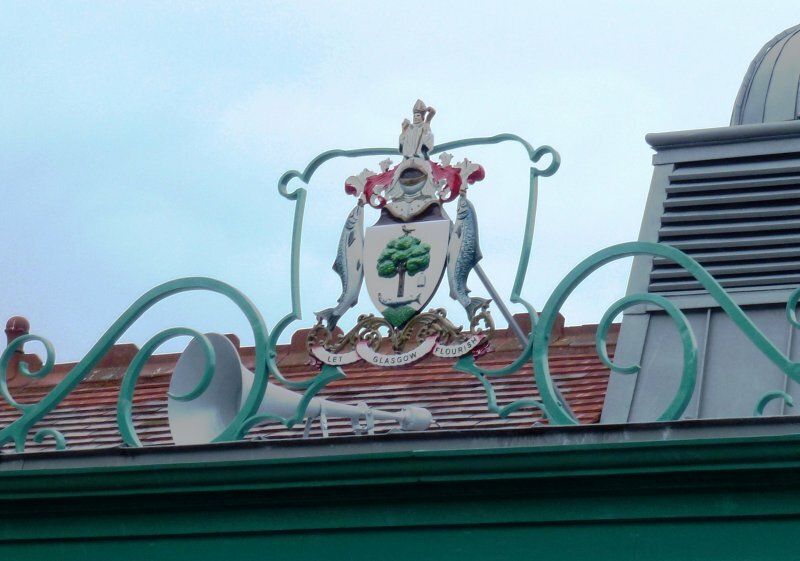 The surviving building fabric of the bandstand was conserved with features previously lost – such as the Glasgow Coat of Arms to the roof – re-instated. Surviving horn speakers were converted to function as lighting at the bandstand. 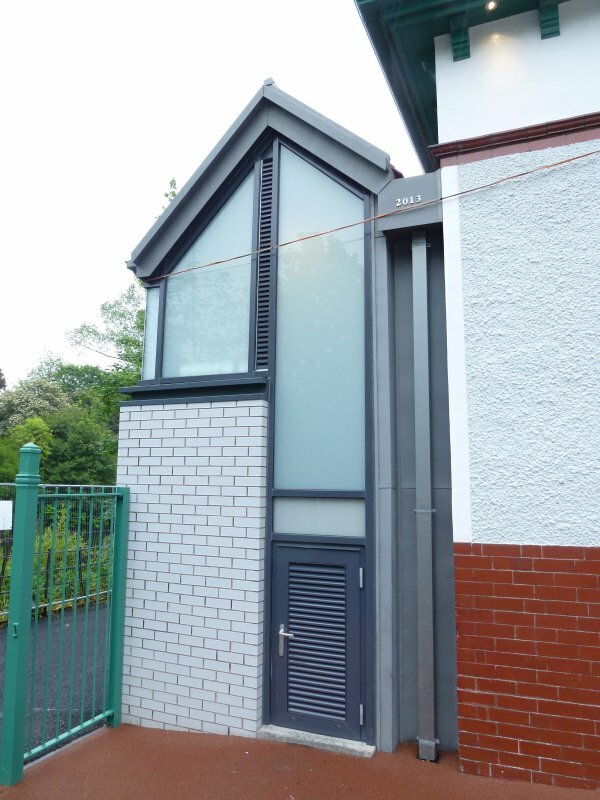 A modest extension to the rear allowed for the installation of a platform lift and other enhancements. A number of improvement have been implemented within the amphitheatre to significantly improve accessibility to the venue. During the course of works the main contractor also provided an apprenticeship, new work and work placements. A range of heritage activities were delivered through a Heritage and Audience Officer exploring the building’s history. Re-opened in May 2014, the venue featured within Glasgow’s Commonwealth Games Opening Festival and now hosts a vibrant programme of performances. AHF, Glasgow City Council (incl Landfill Communities Fund), Glasgow City Heritage Trust, HLF, Historic Scotland, Hugh Fraser Foundation, Sylvia Waddilove Foundation, William Grant & Sons & contributions raised by Glasgow Life.